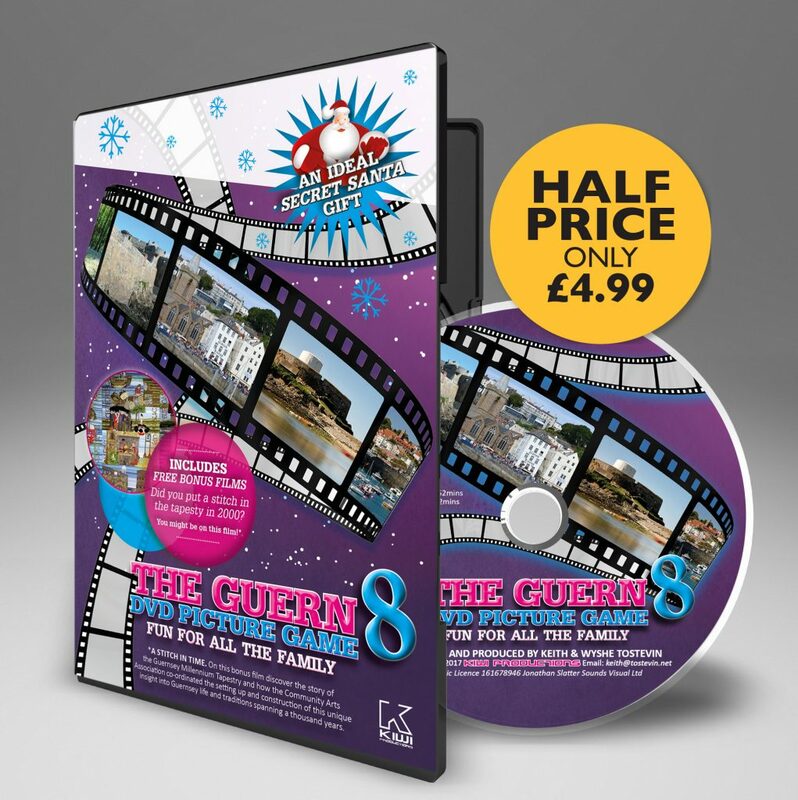 The Guern 8 DVD is the eighth in the popular series of quiz games based around the Island of Guernsey and is fast becoming a favourite Christmas game that must not be missed. The DVD contains 30 brand new up to date questions and challenges for you to name the place, object, date etc in Guernsey when viewed from odd angles & locations. You get three chances to guess before the answer is revealed. You can see a preview of the game below. At the end of the thirty picture game there is a bonus film, dedicated the late Joan Ozanne BEM. On this film discover the story of the Guernsey Millenium Tapestry as a tribute to the late Joan Ozanne’s dedication to the Arts Association and the construction of this unique insight into Guernsey life and traditions spanning a thousand years. Did you put a stitch in the tapestry you may see yourself? Order on-line and we’ll send you your DVDs in the post, or if you live in the island we’ll deliver it by hand. Guernsey, our Island home is a beautiful place, but how well do you know it? This Guernsey Picture Game will test your knowledge. There are 30 questions. It’s fun for all the family or teams to play. Select someone as the host who will be instructed on the DVD to ‘pause’ the video periodically. There are 3 chances to get the correct answer, A, B or C.
The more clues you need the less points you get. A is worth 10 points, B is 5 points, C is 1 point and all Bonus Questions are worth 10 points. First select a suitable name for yourself or your team. A comical name could earn you extra points if there is a tie. The host will decide the length of time for the pauses to enable you to find the right answer. Their decision is final! Don’t worry these are sample questions, so it won’t spoil the fun !